As someone who enjoys cooking, it really doesn't bother me to spend time on a really good recipe. However, it never fails that the biggest hits at parties are always the most simple items. 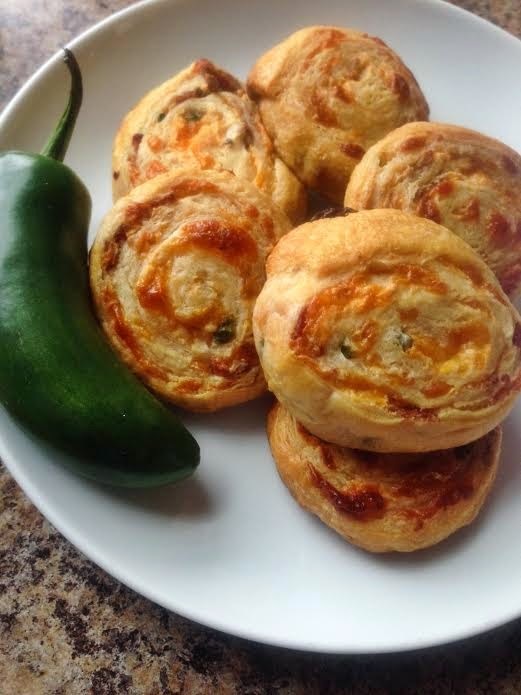 Take these jalapeno poppers, for instance. They're five ingredients, they take about 10 minutes to put together and yet they're always the most requested appetizer when we have a big gathering. Unroll the crescent rolls and pinch together the seams to make one hole free sheet of dough. In a bowl, mix together the cream cheese, cheddar, bacon and jalapeno. Spread half the mixture onto the crescent roll dough and roll up. Repeat with the other tube of dough and the rest of the mixture.